A top executive of Poco India tweeted that the company will make an announcement on Christmas, hinting that the company might launch a second Pocophone soon. When Xiaomi introduced its Poco F1 smartphone (Review), it took the world by surprise because it was the cheapest phone with Qualcomm Snapdragon 845 chipset. The company is now set to reveal another surprise as a top company executive took to Twitter, hinting at a “new poco” device. It is not clear what the announcement could be - it may be a new phone altogether or a new variant of the Poco F1. C Manmohan, General Manager, Poco India said that he has “a surprise for all of you. A #NewPOCO is coming. Can you guess when?” Tipster Ishan Agarwal, however, claims that the announcement is regarding the availability of Pocophone F1 6GB+64GB and 6GB+128GB Storage variants with Kevlar back. He also says that the European markets will receive these devices first and Indian launch will follow suit. 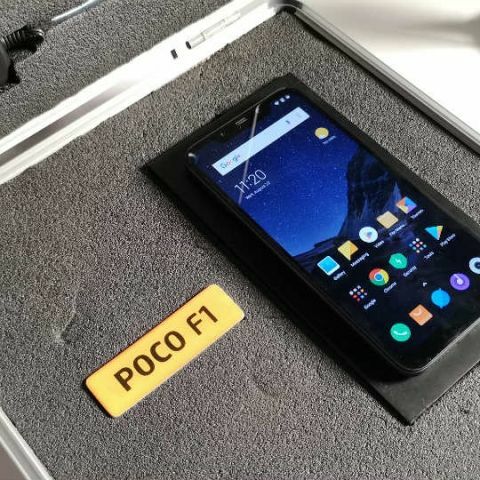 Poco is a new subsidiary of Xiaomi and the Poco F1 was its first smartphone. Apart from being a powerful device, which does not burn a hole in your pockets, one of its highlights is the Liquid Cooling technology that is claimed to keep the device temperatures under check. The Poco F1 comes in three variants, one with 6GB RAM + 64GB storage, 6GB RAM + 128GB storage, and another with 8GB RAM + 256GB storage and a special Armoured edition with 8GB RAM + 256GB storage variant. The Poco F1 runs on the Qualcomm Snapdragon 845 octa-core processor and sports a 6.18-inch Full HD+ IPS LCD display with a 19:9 display aspect ratio. There is a notch on the Corning Gorilla Glass protected display, which houses an ambient light sensor, a proximity sensor, an earpiece, and a 20MP camera. The phone houses a 4,000mAh battery, which can be charged via a USB Type C port. The smartphone also supports Quick Charge 3.0 technology and comes with a fast charger in-the-box. When it comes to optics, the Poco F1 has a dual camera setup at the back: The primary camera is a 12MP Sony IMX 363 lens with f/1.8 aperture, and the secondary camera has a 5MP sensor. On the front, there is a 20MP lens that supports Pixel binning technology, Portrait Mode and HDR. There are two speakers for delivering surround sound effect on the device's front and while one is located at the chin, the other one doubles as the earpiece. Both speakers have a Dual Smart Power Amplifier with Dirac HD Sound. I have a surprise for all of you. A #NewPOCO is coming. Can you guess when?